Most of us have trouble remembering to take our prescribed medication, especially if we have many tablets or medicines to take at different times of the day. For the elderly, who may be taking multiple drugs simultaneously and could be prone to forgetfulness, non-compliance is a serious problem. It is often best if someone supervises when the medication is taken to ensure that the correct dose and type is taken at the right time. Acquire Care is able to help by arranging for a carer to ensure that everything prescribed by the doctor is taken when planned and in the correct way. It is completely normal not to want to take certain medications. 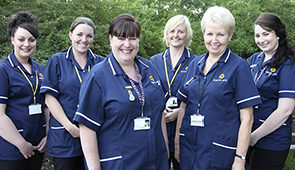 All of our carers are taught how to prompt and supervise the taking of medication by our Clients. By having specially written personalised care plans for the Clients, the carers always know what medication is due when, by whom and how to be taken. Acquire Care can arrange for carers to oversee medication in a discreet and friendly way. 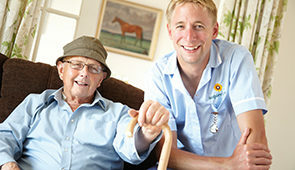 All of our carers are specially trained to do this in the correct and approved manner. This can take one more worry away from the family as they can be assured that their loved ones are taking the prescribed medicine which will help to reduce pain levels, aid sleep and recovery.